We’ve got less than two weeks before LG’s G7 ThinQ is official. The smartphone appears sporadically on the rumor mill, choosing to drop by rather than make a complete appearance. Given the trend of leaks for nearly every flagship over the past couple of years, this is a nice breath of fresh air. LG has faced some difficulties recently, especially with its G brand of smartphones. This year, the company will consolidate the smartphone into its group of gadgets collectively dubbed as ThinQ. On that note, we’ve got a minor leak for the LG V40. Take a look below for more details. This year LG chose to delay its flagship smartphone launch, choosing to let Samsung take all the spotlight. This might turn out in the company’s favor, especially when we consider the South Korean market which is LG’s home ground. Last year’s G6 failed to launch with Qualcomm’s flagship Snapdragon 835 and given the competitiveness of today’s smartphone market, this factor alone relegated it to a middle-tier classification. Since the LG G7 will launch next month, the V40 will also be delayed. 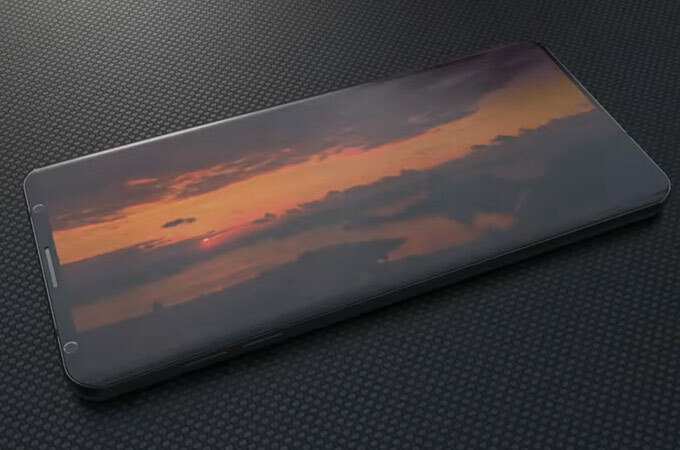 Sources believe that the smartphone will launch in November, well after both Samsung and Apple are done with their Note 9 and iPhone launches. The G7 ThinQ is poised to target the South Korean market at a time when Samsung’s sales usually start to decline. While the Korean tech giant makes a strong start each year with the Galaxy S lineup, it is always unable to sustain market interest in the smartphone. Today, famous tipster Evan Blass is back with some information for the LG V40. It’s not much, so if you’re expecting some specifications, we’ll have to disappoint you today. According to Blass, the LG V40 is codenamed as Storm. We don’t blame him for the lack of information since the G7 is on the horizon and there are plenty of details to talk about for the device. The LG G7 ThinQ will feature Qualcomm’s Snapdragon 845, without sufficient RAM to fully utilize the processor. The maximum configuration for the smartphone will be 128GB internal storage and 6GB of RAM. Even though it sounds enough, the smartphone will compete with the likes of the OnePlus 6 and Xiaomi’s Mi Mix 2s, both with 8GB. For its design, LG will choose a hybrid approach this year, balancing the G7’s overall look and feel between strictly formal and everyday casual. The company needs all the sales that it can get, and this approach will undoubtedly attract a lot of young users as well. Thoughts? Let us know what you think in the comments section below and stay tuned. We’ll keep you updated on the latest.